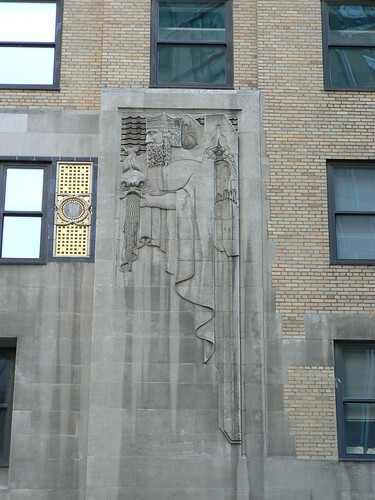 Quite some time ago I posted a photo of the Art Deco rats on the Graybar Building, NYC. This is what the whole entrance looks like. You can see the rats crawling up the supports of the canopy over the doors. But also have a look at the heads of various creatures holding the rods for the rest of the canopy and then much higher up two figures, one on each side of the entrance. 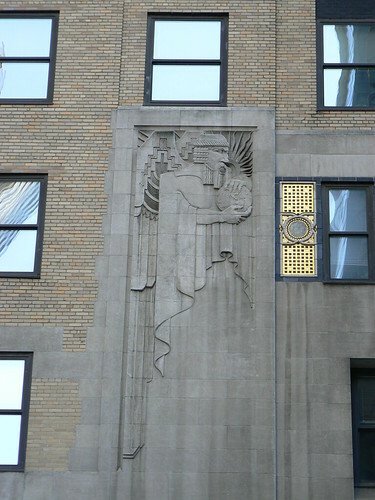 Those figures are wonderfully detailled and look a bit Assyrian to me. The one on the left is clutching a globe. The other one is holding a sea creature. 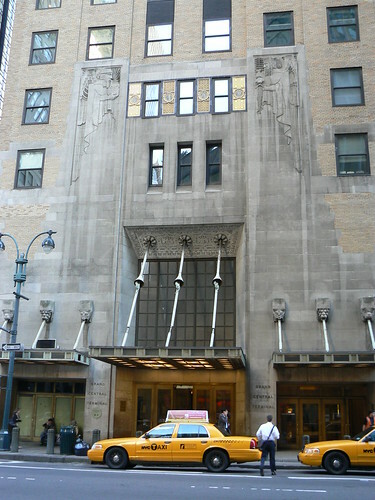 This entrance, leading to Grand Central Terminal, is one of three along this facade of the Graybar Building. I'll show you the other two over the rest of the week. Impressive, aren't they? 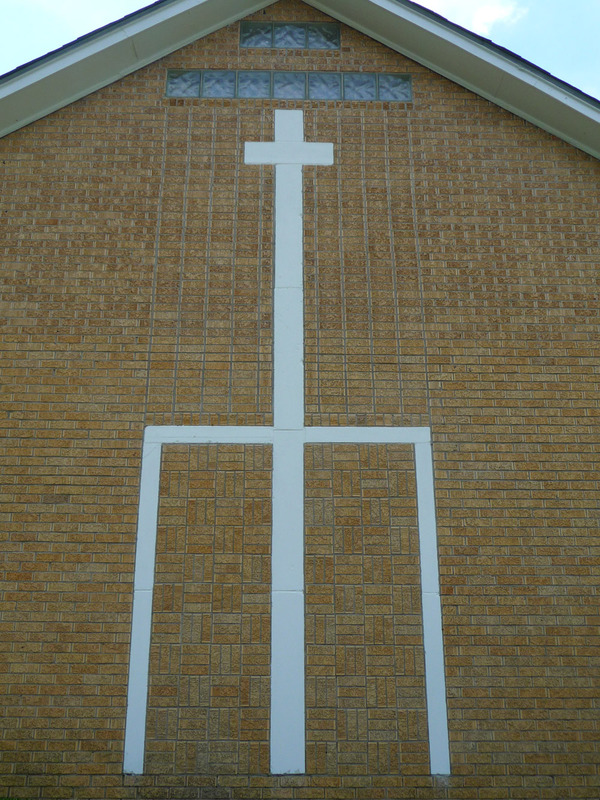 What was the material of the design around the entrance - stone, it seems? or concrete? The detail on and behind the heads is minutely executed. They are very impressive. Don't know what the materila is. They appear to be made of individual blocks but that coul dbe an effect in concrete. 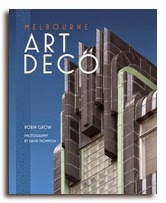 Patricia Bayer's Art Deco Architecture has photos of the figures and they are coloured rather than gray. They look very interesting indeed but Bayer doesn't indicated whether that was part of the original design or not or what the are made from.